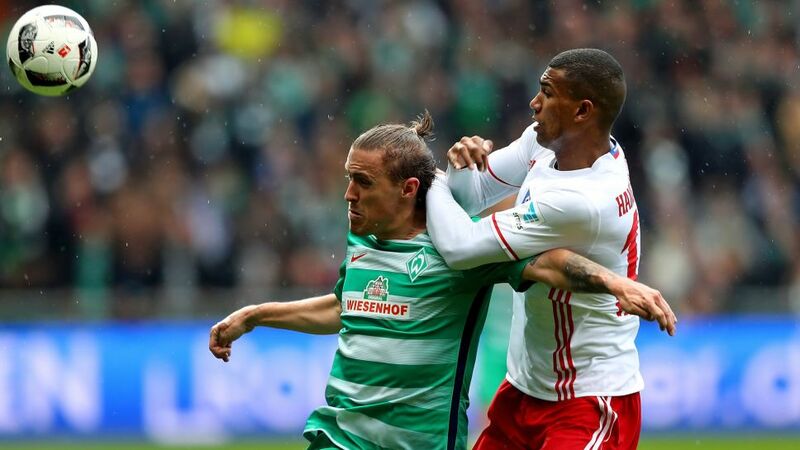 Max Kruse was the beating heart of Werder Bremen’s stirring comeback against Hamburg that secured a 2-1 win in the Nordderby at the Weser Stadion. Click here to sign up Kruse for your Official Fantasy Bundesliga team! He was denied by Christian Mathenia’s smart reflexes after just 30 seconds, but drew his side level with a header late in the first half. He came close to scoring again before setting up Florian Kainz for the winner that keeps Bremen in the hunt for a place in Europe next term. Did Kruse impress you enough to win the Matchday 29 #BLMVP award? If so, vote for him now! Kruse scored his first headed goal since November 2015, which also came against Hamburg when he was with Wolfsburg.He needs one more goal to reach double figures in a Bundesliga season for the fourth time.His 37 completed passes were the most by a Bremen player against Hamburg.